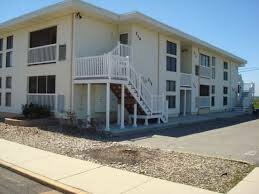 Are you looking for Oceanaire condos for sale in Ocean City NJ? The Oceanaire located at 43rd and West Ave consists of two bedrooms with two bathrooms and three bedrooms with three bathrooms. Pets are allowed and there is one car assigned parking. Amenities include a enclosed covered porch and storage facility. Great southend location!